Oh, Marley Lilly ♥ It was like love at first sight on Instagram! 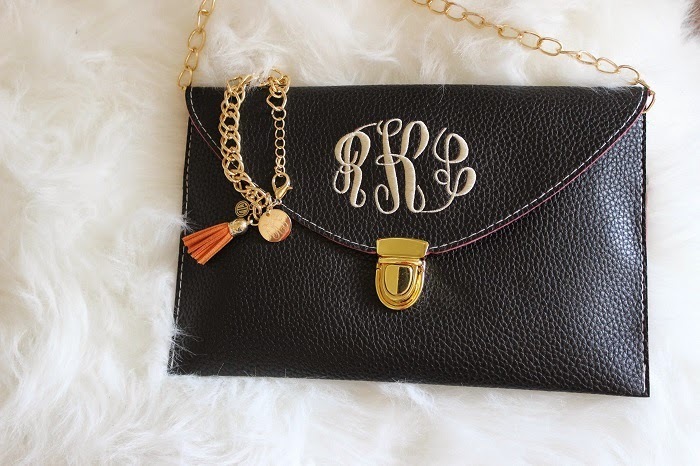 The gorgeous clutches, the dainty jewelry, oh and did I mention everything is monogrammed? Yup, that's Marley Lilly's specialty! If you're a southern belle (or just want to be one like me!) then this is your go-to place for high quality monogrammed clothing and accessories.When I got the opportunity to work with them, I jumped at the chance because hello! It's Marley Lilly! I just couldn't resist getting my first monogrammed accessories and showing them off on Instagram like everyone else! 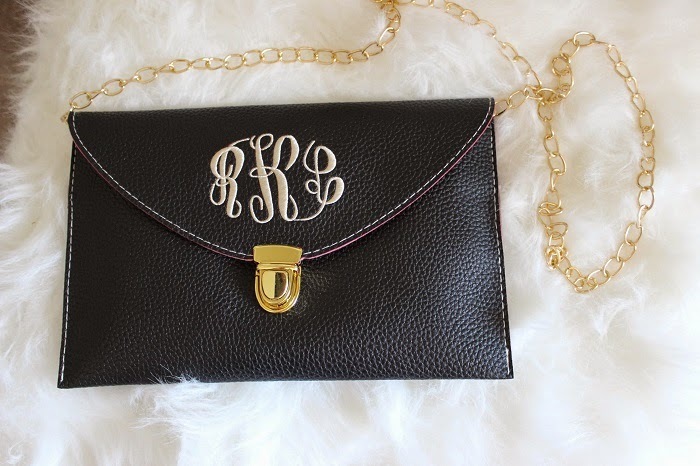 The first thing I think of when Marley Lilly comes to mind is their monogrammed clutches. I love how this one is in black and white and goes with all my outfits! It does come in a variety of different colors and monogram designs so it'll take you a while to decide when ordering haha. 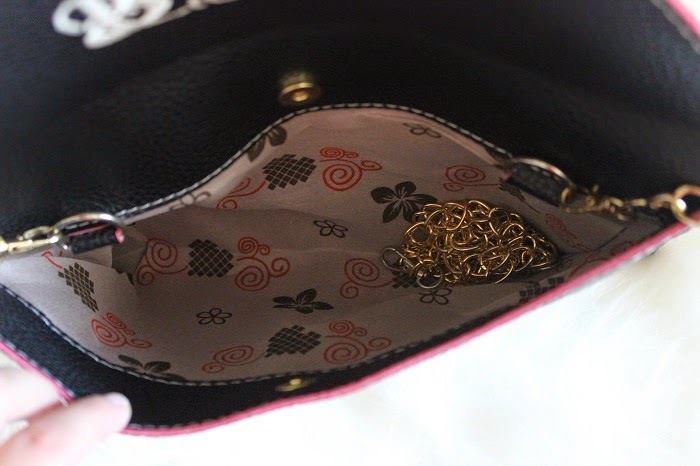 It also comes with a chain so you can either wear it as a clutch or a crossbody. What surprised me the most was how much stuff I can fit inside of it! Now that I've got my clutch, what's next? 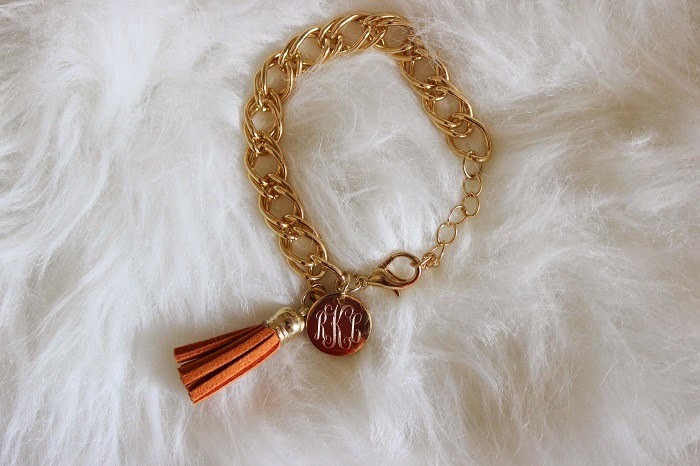 A monogrammed tassel bracelet of course! 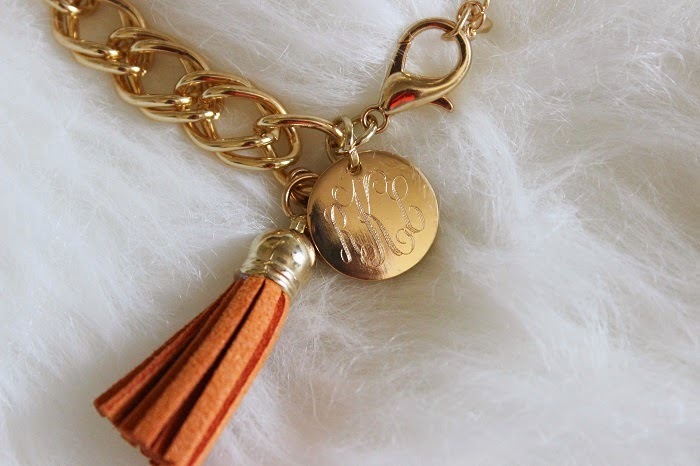 The script monogram design looks so classy while the tassel charm makes it stand out when I'm layering bracelets.